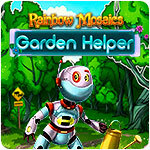 Rainbow Mosaics: Garden Helper Game - Download and Play Free Version! Dear friends! Please, meet our innovative household robot assistants. These cute plastic creatures will soon roll off the production line and will find themselves on store shelves and later will be used at the houses of happy owners! Indeed, testing found that one of the robots had a damaged cognitive function unit. 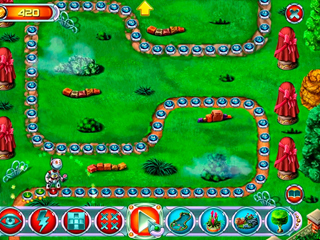 The robot will have to undergo additional learning after the unit has been replaced. 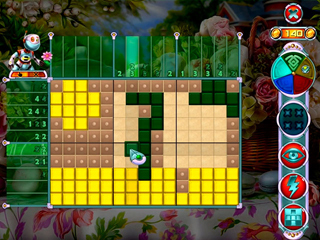 Practicing in the garden is a wonderful way to do that! So, the robot's name is Helper and he's got an assignment - clean up the garden. Let's see how things will turn out!